Comments Off on Peace Street Closed! When checking Facebook as one deos in the morning one of the updates included this picture. 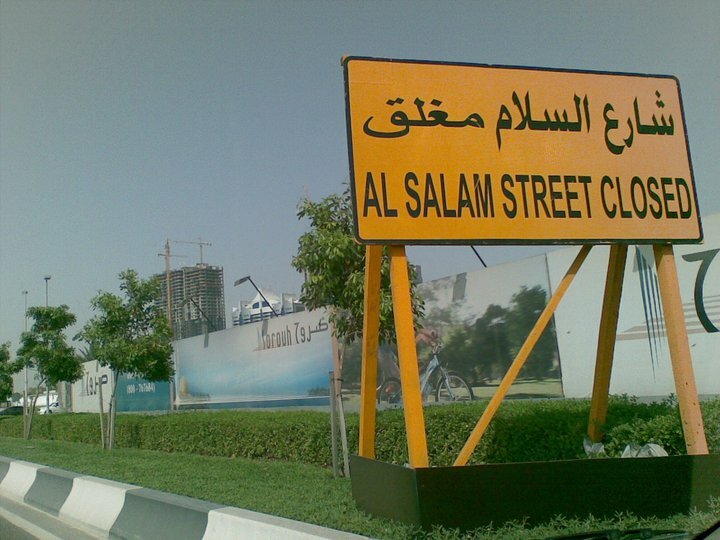 I am not sure who took it but it is great!It is a street in Abu Dhabi called Al Salam (which means peace) and clearly it is closed! 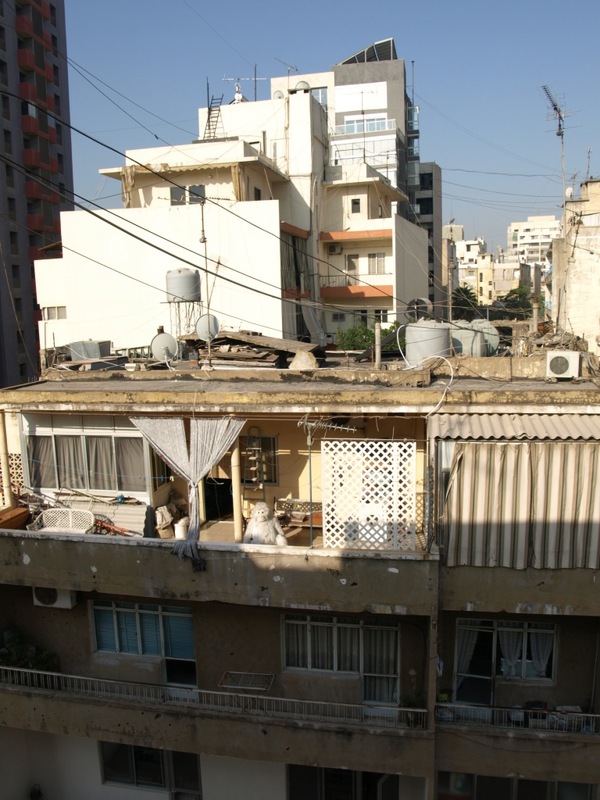 While sitting on my balcony this morning, enjoying my breakfast I felt a pair of eyes staring at me. I looked over my railings only to find that in fact I am being stared at from my neighbor’s balcony. My jaw dropped and with a big smile on my face I thought I would take a picture. 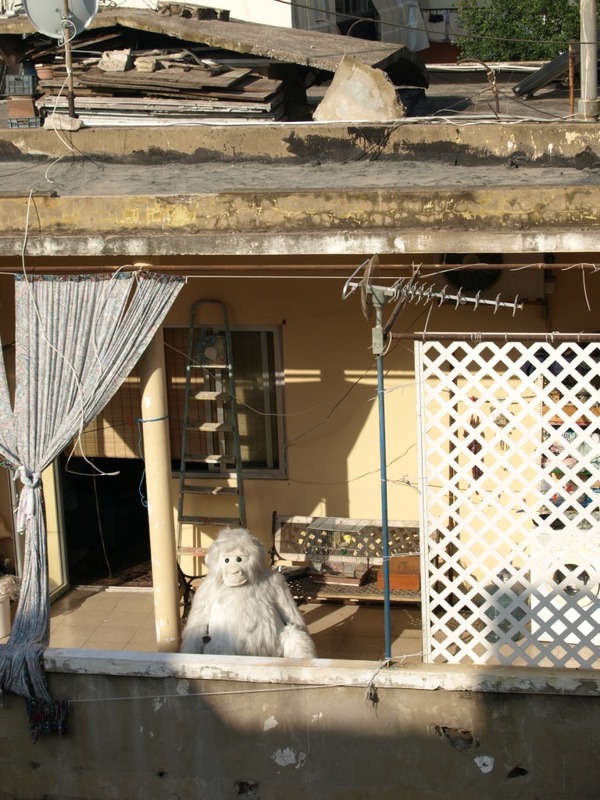 Here is what I saw on my neighbor’s balcony. A random thought occurred to me as I sat next to a window on the plane from Copenhagen to Istanbul. Does anyone clean planes? I’m not talking about the plane’s interior but rather the exterior of the plane’s, its windows, its wings, its nose, the body… the outside. I’ve never seen anyone take a bucket and a sponge to a plane, have you? I’ve never seen a planewash either. Do such things exist? On the flip side of that I have never seen a dirty plane. No dusty, streaky, splotched planes at the airports I’ve been too. All of them have shined and glistened in the sunlight. Could there be a secret plane cleaning industry we don’t know about, or is it just that high speeds at high altitudes in all weather conditions are self cleaning or super clean?